For the past few months, South Africans have been busy casting their votes for their favourite baker in the LANCEWOOD Cake-Off® Challenge. Now, after 1,069 cakes were entered, 80,000 votes cast, and three finalists named, one winner – Faaiza Omar from Nelspruit – has risen from the nail-biting finale. 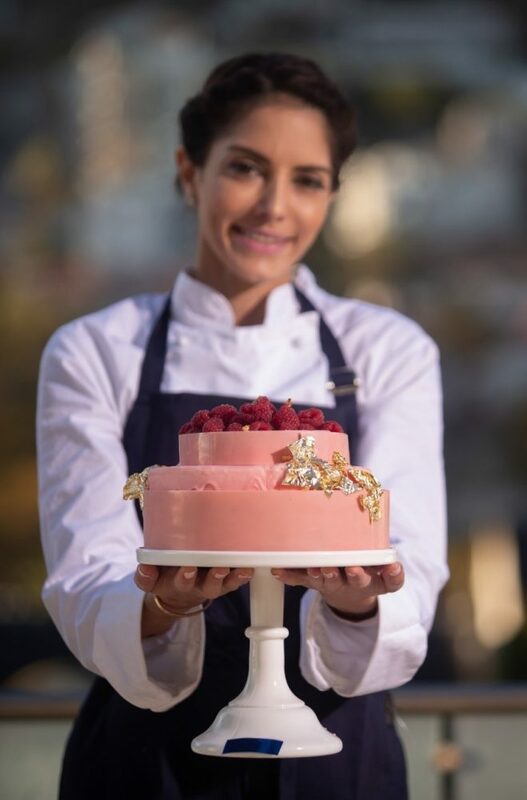 Her creation – a Rose, Pistachio and Raspberry Gateau – wowed the judging panel comprised of famous foodie and TV presenter, Lorna Maseko; best-selling cookbook author and popular TV chef, Zola Nene; LANCEWOOD® Marketing Manager, Shereen Anderhold and Expresso Presenter, Ewan Strydom. Looking to the future, Omar hopes to one day collaborate with LANCEWOOD®, South Africa’s number one cream cheese brand*, to develop recipes and even a recipe book. “I love the products and there are so many ways that you can use them.” Her favourites are the LANCEWOOD® Full Fat Cream Cheese, which she says gives her mousse a lovely texture thanks to its smoothness and the LANCEWOOD® Mascarpone because it is so light. Both of these were used in her winning masterpiece. Her cake, together with fellow finalist Cheryl Govender’s Lemon Cheesecake Crouqembouche and Somikazi Zulu’s Black Velvet Oreo cake, stood out from over 1,000 entries (more than three times the number of applications in the 2016 Challenge!). “All of the finalists stunned the voting public with their creativity and ability to show off the versatility and quality of the LANCEWOOD® range of products. We admire Cheryl and Somikazi for coming so far in this competition and trust that they will make good use of their new KitchenAid mixers. They were very worthy contenders, but ultimately there could only be one winner and Faaiza’s creation took the cake,” says Anderhold.